We are ready! 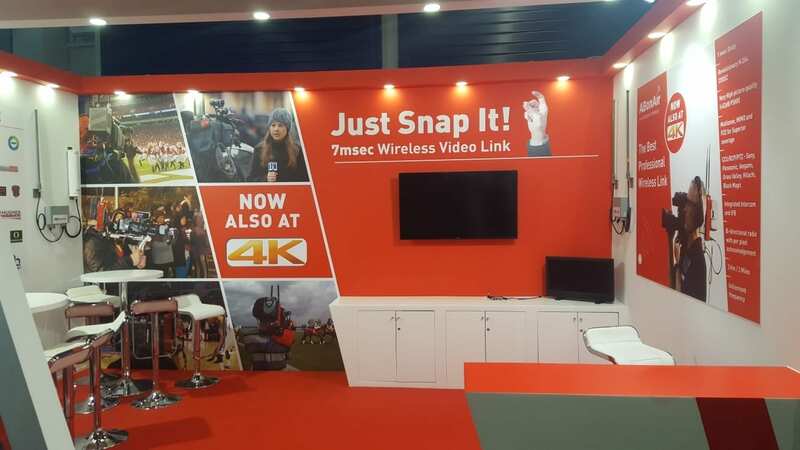 When it opens on 14 September 2018, the IBC show will witness the first ever 4K 7msec delay Wireless Broadcast Solution. In hall 2, stand A.58 we will demonstrate live, our 5th and new 6th generation wireless broadcast solutions. If you are a live broadcaster – sports, news and live events – stop by and check out the best in wireless broadcast technologies – and practical solutions. In 2018, wireless broadcast is no longer an option – it is a must. Camera teams know that wireless broadcast is the only way to achieve complete mobility on the job. News gathering teams don’t have the luxury of a pre-defined broadcast zone and require wireless broadcast. When news break, getting to the scene quickly and stranding the broadcast is the name of the game. In sports, you can’t follow athletes from the locker room to the tunnel to field with wires. The same goes for the sidelines and the covering the audience. 7msec delay (subframe delay) enables the production of multi-camera and live show without worrying about the delay caused by the simultaneous operation of different cameras or lip sync. ABonAir that made this technological breakthrough, sets again a new industry record by implementing this with the advanced 4K resolution. Wireless broadcast – at least the way we do it at ABonAir – is not complicated. The underlying technology is complex, but the usability is easy. We call it “Plug & Broadcast”. Installing our wireless broadcast system is as easy as it gets. After you’re done setting up, you are good to go, and you don’t need technicians to prepare each use. If you are attending IBC 2018, let’s meet in Amsterdam! See you at stand 2.A58.